Dr Tan completed his BSc(Hons) degree in Organic Chemistry at Adelaide University in 1986, and was awarded a PhD from the same university in 1990. He then worked as a post-doctoral fellow at Harvard Medical School in Boston until 1992 when he moved to the University of Otago as a Lecturer in the Chemistry Department, where he remains. He specialises in biological chemistry, and has been a visiting Research Fellow at the Research School of Chemistry at the Australian National University and at the Okinawa Institute of Science and Technology (OIST) in Japan. He currently teaches university students at all levels in lectures and laboratories, and has a research group comprising graduate and post-graduate students and research fellows. 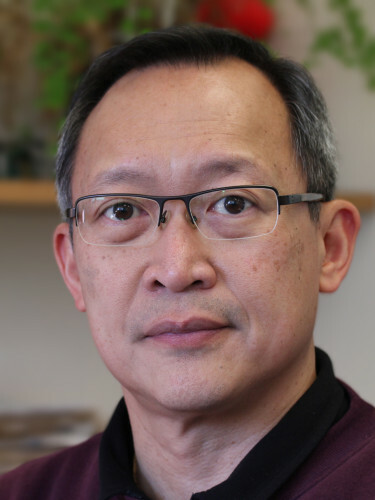 Dr Tan’s areas of research interests include drug delivery systems, surface active agents, nanoscale materials, and organic synthetic methodology. He is a member of the New Zealand Institute of Chemistry and has working collaborations with researchers in the Anatomy and Physiology Departments within the University of Otago and at OIST. His work with the GMRI is focused on the development of a transdermal drug delivery system for the treatment of strawberry birthmarks.